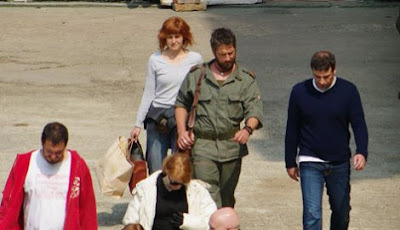 Gerard Butler arrived in Belgrade on Tuesday morning to begin filming Coriolanus. He will reportedly remain in Belgrade until the week is over. His very first on set photo is now online. The annual White House Correspondents’ Association Dinner is set to take place on May 1 and Ewan is among the celebrity guests invited. Other celebrities set to attend include Alec Baldwin, Anna Kendrick, Bradley Cooper, Elizabeth Moss, Fred Armisen, Jimmy Fallon, Jon Bon Jovi, Lindsey Vonn, and Mariska Hargitay. The Disappearance of Alice Creed opens on April 30 in the UK and there are two new interviews with Martin Compston. Martin Compston and his co-star Gemma Arterton talk about working on the film. 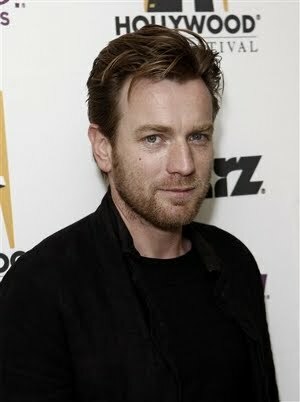  Archived in Film, Scottish Entertainment / Actor News and tagged Craig Ferguson, David Tennant, Ewan McGregor, Gerard Butler, Kevin McKidd, Martin Compston, Scotland, Scottish, Scottish Entertainment / Actor News, video. Bookmark the permalink.